2017 was a massive year for cryptocurrency, with Bitcoin— the most valuable and widely-used cryptocurrency— experiencing a historic price run from just $900 to over $20,000 in value. 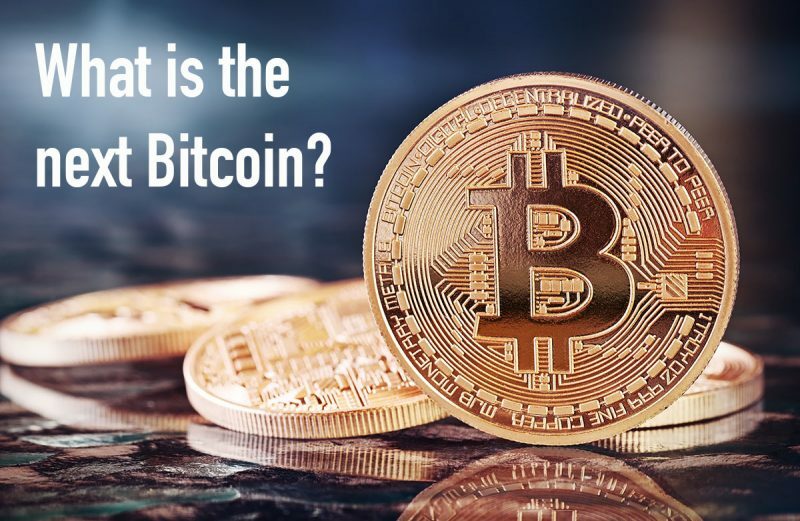 While it may be the king of the crypto ecosystem, there are a number of issues with the network that has many investors asking: what is the next Bitcoin? Bitcoin doesn’t appear to be going anywhere soon, but there is news of a number of promising new blockchain networks that are positioned to provide serious competition. In this article, we’ll take a look at the most promising upcoming cryptocurrencies that threaten to topple the top coin from its crypto-throne and break down what makes them so disruptive. Bitcoin was originally conceived of by creator Satoshi Nakamoto as a “peer-to-peer electronic cash system”, but has recently deviated considerably from this original vision. While it has indeed experienced a dramatic increase in adoption over the last year and a staggering increase in value, it has suffered from scalability issues that have left the network both expensive and cripplingly slow. The high demand for Bitcoin caused by its rapid increase in value has created an ecosystem that promotes hoarding, making holders reluctant to actually use their cryptocurrency as currency. It lacks an efficient means of managing the increased transaction volumes that have come with increased adoption, causing network congestion. The users that want their transactions verified faster are required to pay more, as miners treat transactions with higher fees as high priority. Ultimately, this means that the network now suffers from high transaction fees and slow transaction settlement times. There are a number of solutions currently in development such as the Lightning Network scaling layer, but these fixes are far from ready to launch. Is Litecoin the next Bitcoin? Created by former Google employee Charlie Lee, Litecoin is a payment-focused cryptocurrency that has experienced a surge in adoption rates over 2017. Promoted as a fast, functional alternative, Litecoin offers a number of advantages as far as transaction efficiency is concerned. The primary difference between Bitcoin and Litecoin is the total number of coins available— the former is limited to 21 million coins while the latter is capped at 84 million, yielding a lower whole unit price. This higher maximum coin cap could potentially deliver a psychological advantage over Bitcoin, promoting increased use as currency. Litecoin’s biggest advantage is the transaction speed it offers. Data from BitInfoCharts demonstrates that Litecoin has an average transaction confirmation time of just 2.5 minutes, which is far superior to the Bitcoin Network. Another important difference between them is the cryptographic algorithm they use. Bitcoin uses the SHA-256 algorithm, whereas Litecoin uses the relatively new Scrypt algorithm. The Scrypt algorithm is less complex than SHA-256 and does not require the complex hardware used to mine Bitcoin. 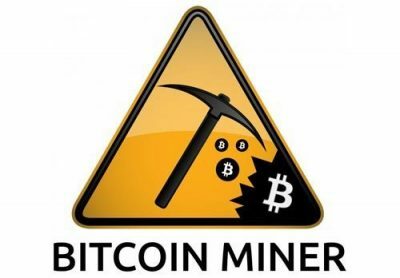 This factor could potentially draw more network participants in as miners, thus contributing to network growth. Litecoin prices surged in December 2017 during a speculative investor rush, which was followed by a market correction leading into 2018. With Litecoin founder Charlie Lee recently announcing an upcoming marketing campaign, it’s possible that 2018 could be the year in which Litecoin explodes. The Ripple blockchain project was created as a joint endeavor between serial entrepreneur Chris Larsen and developers Ryan Fugger and Jed McCaleb. In a similar manner to Litecoin, Ripple has exploded in value over the last year and, at one point, pushed Ethereum aside to claim the title of second-largest market cap crypto. Unlike Bitcoin, which is open source and fundamentally opposed to the standards set by incumbent financial institutions, Ripple is a privately-owned closed source blockchain network that works closely with some of the largest businesses in the world. Ripple solutions are employed by American Express, MoneyGram, UniCredit, and more. The architecture of the Ripple blockchain incorporates a transactions settlement system similar in function to the Lighting Network solution that is currently under development for Bitcoin. Ripple transactions are processed in batches off-ledger before they are added to the blockchain, which allows the network to settle transactions in as little as four seconds. The cryptocurrency market has been rocked heavily over the last year due to regulatory scrutiny. The Ripple solution is likely to be a far more stable solution in regards to potential regulatory disruption, as by working closely with so many incumbent financial platforms Ripple works tirelessly to conform to regulatory guidelines. Is Ripple the next Bitcoin? Ripple is currently making a major play to capture a position as the de facto payment processor between banks. If this gambit is successful, 2018 could see Ripple blow past the $20 mark. Depending on bank adoption, Ripple could be a major threat to the Bitcoin throne. Bitcoin Cash began trading in July 2017 and was created due to a “fork”, or split, in the Bitcoin blockchain ledger. As Bitcoin is an open source project, it’s possible for any developer to create a different “version” of it, which is referred to as a fork. Its origins are found in the issue of block size limit. The slow transaction times experienced by users of the Bitcoin network are, in part, due to the 1 megabyte block size limit. This limit causes transactions to cap out at 7 transactions per second. Bitcoin Cash, on the other hand, has a default block size of 8 megabytes, which allows it to theoretically resolve more than 50 transactions per second. The price jumped dramatically in November 2017 following the failure of the proposed SegWit2x hard fork of the Bitcoin blockchain. The failed proposal, which involved doubling the Bitcoin block size limit, resulted in a Bitcoin Cash price increase of over $2,000. In December 2017 Bitcoin Cash spiked again, increasing to an all-time high of over $4,000 after popular crypto broker Coinbase announced their support for it. One of the biggest advantages that it holds over Bitcoin is low transaction fees— Bitcoin Cash transactions cost as little as $0.001, compared to the average fee of $30 incurred by Bitcoin transactions recently. The impact of Bitcoin’s impending Lightning Network implementation remains to be seen, but if the update fails to solve the network’s chronic scalability issues there is a real possibility that Bitcoin Cash could overtake Bitcoin as the number one cryptocurrency. IOTA is a wholly unique blockchain network that is perhaps the most forward-leaning solution on this list. Instead of focusing on facilitating transactions between people, the IOTA network is designed to allow machines to autonomously trade with each other using IOTA tokens. While this may sound strange, the elegance of the IOTA network becomes apparent when considering potential use cases. The IOTA network allows IoT devices— smart appliances, vehicles, telecommunications devices, and more— to operate in a completely autonomous economy. Using IOTA, a smart home equipped with solar panels would be able to autonomously communicate with energy retailers and identify the most favorable rate at which to sell excess energy back to the grid without the need for human intervention. An IoT-enabled smart car, upon entering a parking garage, would be able to communicate independently with the garage and pay a parking fee automatically. One of the most interesting elements of the IOTA network is the method through which transactions are resolved. Instead of relying on node operators to validate transactions, as is the case with Bitcoin, IOTA uses the “Tangle”. This innovative consensus method requires individuals attempting a transaction to process two pending transactions first, creating an infinitely scalable zero-cost method of transaction resolution. The IOTA network is an elegant alternative to the unwieldy and slow Bitcoin network. If IoT device integration causes IOTA to become ubiquitous in our daily lives, it’s highly likely that IOTA could supplant Bitcoin, Ethereum, and some other cryptocurrencies at the top of the crypto ladder. The Bitcoin blockchain makes it possible for anybody to view the details of all transactions, transaction sizes, senders, and receivers. A good example of this is the Wikileaks donation wallet. Monero, however, is a cryptocurrency that is focused on making it impossible to determine where transactions come from, where they go, and how big they are. The Monero solution is described as a “secure, private, untraceable currency”, and uses an interesting technology called ring signatures to achieve this. This practice essentially mixes the transaction sets of a user with those of another in order to obfuscate the true owner of each transaction. Balances are hidden via random, one-time stealth addresses that make it hypothetically impossible to associate a wallet with an individual. 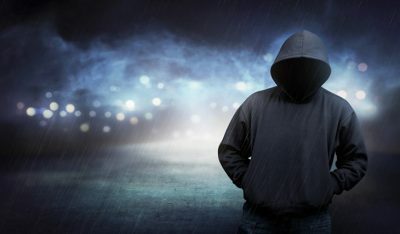 It’s no surprise that this highly anonymous cryptocurrency has become extremely popular with cybercriminals and those seeking to evade the eye of the law. Users of darknet markets commonly use Monero to purchase contraband goods, a factor that has contributed significantly to the steady climb in the value of the currency. Despite the negative associations with completely anonymous transactions, the Monero solution is both highly stable and highly popular. In news, Monero has recently announced that musicians such as Sia, Mariah Carey, and Slayer will now accept the crypto as a payment method, paving the way toward increased consumer awareness and adoption. With the upcoming implementation of multisignature support and I2P support, Monero is on the cusp of a highly disruptive growth stage. “Is Ethereum the next Bitcoin?” has become the most common question in the cryptocurrency ecosystem recently. While Ethereum is a highly promising platform, a project launched by Charles Hoskinson— one of the co-founders of the Ethereum project— is potentially far more disruptive. Cardano, like Ethereum, is a complex smart contract capable platform but offers a wide range of features that make it a prime contender as the Bitcoin killer. Designed by PhDs, Cardano boasts incredibly fast transaction speeds, extremely high reliability, and even resistance to potential future quantum computing attacks. The Cardano network began development in 2015 and has placed a strong emphasis on cooperation with the developing regulatory environment. A major advantage Cardano holds over both Ethereum and Bitcoin is the academic brainpower that supports it—as the only coin with a “scientific philosophy and research-driven approach”, Cardano has partnered with academic institutions around the world to foster research and analysis through a rigorous peer-review process. Cardano has big plans to drive adoption in 2018, with the news of upcoming ATM accessibility and Cardano debit cards resulting in a significant price push. With more than 83% of all Cardano coins in circulation and ever-increasing exchange listing penetration, Cardano appears to be positioned for a major breakout over the next few months. Bitcoin, while slow and cumbersome, is not dead yet. Despite news of recent volatility, the king of crypto is still holding strong and, if the Lightning Network scaling layer holds water, it could remain at the top. If you’re looking for the most likely candidates to usurp the Bitcoin kingdom, however, the above coins definitely have the potential. BitMEX Review 2019 – What is this platform? Hitbtc Review and Full Guide 2019 – Is This Exchange Safe? Changelly Review and Full Guide 2019: How Does it Work? Shapeshift Review and Full Guide 2019 – Are they changing for the better? 10 Biggest Crypto Bear Market Losers- Do You Own Any of These?